Fernando Botero is a Colombian artist known for creating bloated, oversized depictions of people, animals and elements of the natural world. Born in Colombia in 1932, Fernando Botero left matador school to become an artist, displaying his work for the first time in a 1948. His subsequent art, now exhibited in major cities worldwide, concentrates on situational portraiture united by his subjects' proportional exaggeration. Born in Medellin, Colombia in 1932, Fernando Botero attended a matador school for several years in his youth, and then left the bull ring behind to pursue an artistic career. 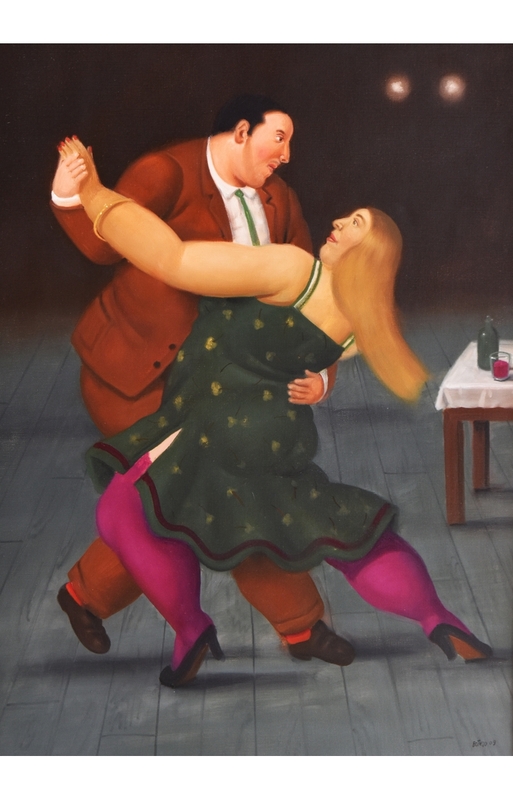 Botero's paintings were first exhibited in 1948, when he was 16 years old, and he had his first one-man show two years later in Bogota. Botero's work in these early years was inspired by pre-Colombian and Spanish colonial art and the political murals of Mexican artist Diego Rivera. Also influential were the works of his artistic idols at the time, Francisco de Goya and Diego Velazquez. By the early 1950s, Botero had begun studying painting in Madrid, where he made his living copying paintings hanging in the Prado and selling the copies to tourists.